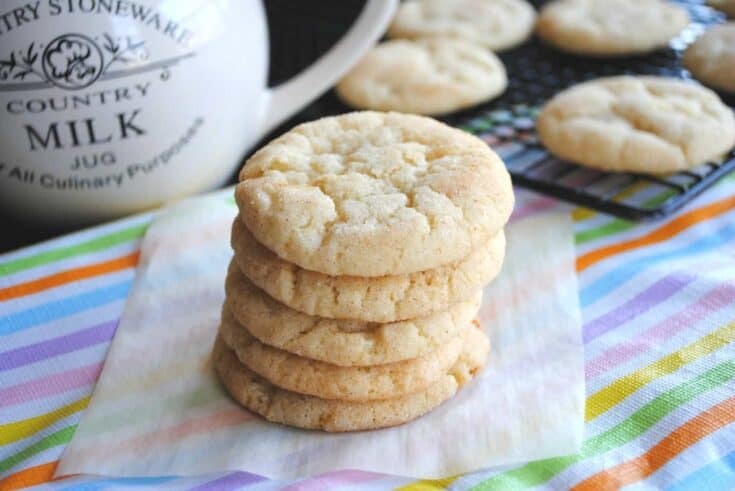 Soft and chewy, these Vanilla Bean Snickerdoodles are a family favorite. 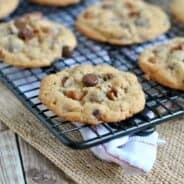 Cookies packed with flavor! 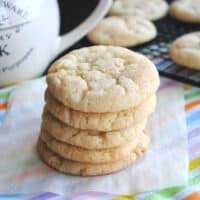 Growing up, Snickerdoodles Cookies were always one of my favorites. As an adult, I don’t make them as other flavors. Maybe it’s because you have to roll them in the cinnamon and sugar, you know that extra step? But, when I do make them, I love using this recipe! The vanilla bean just adds a depth of flavor that I think you will LOVE! In mixing bowl, beat butter and sugar until thoroughly combined about 3 minutes. Add eggs, one at a time, beating for one minute between additions. Beat in vanilla bean paste. You can substitute one vanilla bean instead of the paste if you prefer. Scrape the seeds out of the vanilla bean (but don’t throw the pod away, scroll down for details). Scrape down sides of bowl and add in flour, cream of tartar, baking soda and salt. Mix until just combined. Cover dough and refrigerate for at least 30 minutes. In a small bowl mix together the cinnamon and sugar. Scoop dough by large tablespoons and roll in cinnamon sugar mixture. Place on parchment paper lined baking sheets, several inches apart, and bake for 13-15 minutes, until edges are slightly browned. For smaller cookies, bake 12-14 minutes. Allow cookies to set on cookie sheet about ten minutes before removing to wire rack to cool. Enjoy! I know vanilla beans can get quite expensive too. So don’t throw it out after you scraped the seeds. Instead, toss the used vanilla bean pod into a mason jar with some granulated sugar. Put a lid on it and give it a shake. Allow it to flavor the sugar over the next week, giving it a good shake every day. When you’re done, you’ll have a full jar of flavorful vanilla sugar, perfect for baking or putting a spoonful in your coffee! I usually use the pods several times before tossing them, especially since I go through a lot of sugar. 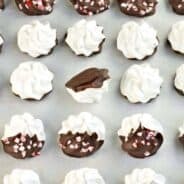 Snickerdoodle Cookie Dough Truffles: I’ve turned your classic childhood cookie into a no-egg truffle with a cinnamon coating! Looking for a snack that makes the whole family smile? This Snickerdoodle Muddy Buddies recipe is just what you need. Sweet cinnamon muddy buddies with a little extra help from Cinnamon Toast Crunch cereal! 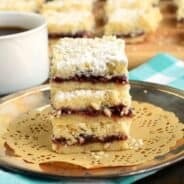 One bite of these Snickerdoodle Cheesecake Bars and you’ll fall in love! The sweet and salty graham cracker pecan crust with the creamy cheesecake layer is all topped to perfection with the snickerdoodle pecan cookie topping! Preheat oven to 350 degrees. In small bowl mix together the cinnamon and sugar. Scoop dough by large tablespoons and roll in cinnamon sugar mixture. Place on parchment paper lined baking sheets, several inches apart, and bake for 13-15 minutes, until edges are slightly browned. For smaller cookies, bake 12-14 minutes. If you don't have vanilla bean paste, scrape the seeds out of one vanilla bean. Save the bean pod to make vanilla sugar! These are SO on my to-try list. Soon! Delicious review and I’m happy that you enjoyed this book. Thank you so much for being a part of this Joy the Baker Cookbook Spotlight & Cook-Off =)! My youngest LOVES snickerdoodles and this recipe looks fantastic! These are great! My boyfriend loves snickerdoodles. I am sure he will be over the moon for these! Is this for real?? I had NO idea that snickerdoodles could get any better….but they just DID! YUM! I love vanilla beans! They are the perfect addition to snickerdoodles too. These are amazing! I met Joy at an event last week and got a copy of her book…I agree w/ everything you said. Not many books I would highly recommend or want to make 99% of everything that’s in the book, but with hers, I do! And yes on doing all her own photography…Amazing! The cookies turned out great looking! My Mom made these (she’s in the group of bloggers) and they are wonderful!!!! Mmmmm, delicious! I really have to get my hands on Joy’s cook book! 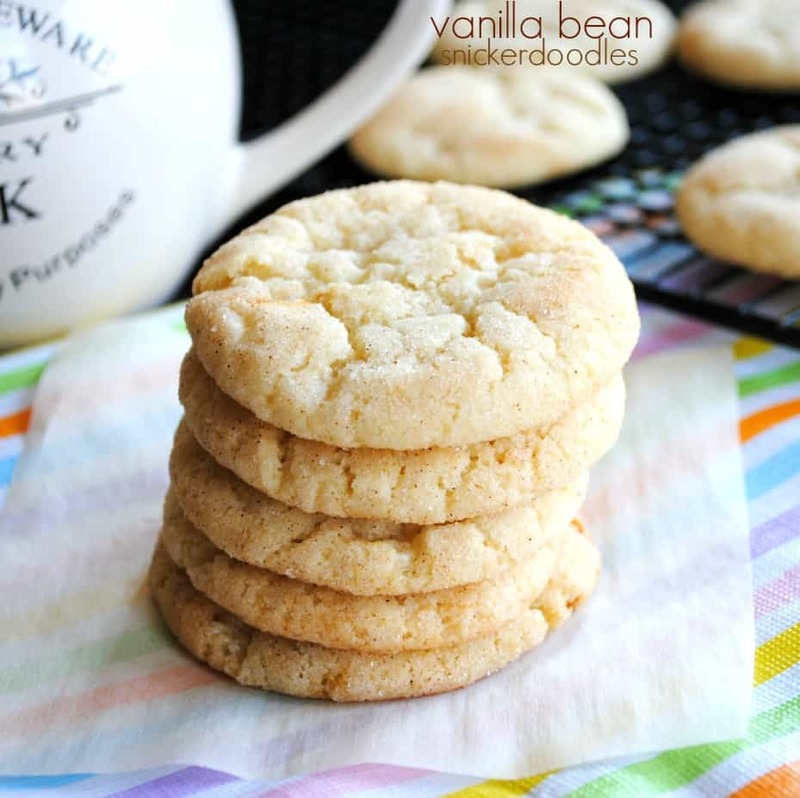 Ooohhh I found a recent love (like within the past year) for all things snickerdoodle! These look amazing! I wish I could take a bite out of one right now. I won’t be able to get these out of my mind until I make them! Great post! YUMM! I’ve been drooling over Joy’s book so much that I can’t figure out what to make first! I love puffy, fat cookies, so these are right up my alley. Totally want to make these. I need to dig into her book! Looks delicious! Love trying new Snickerdoodle recipes. Quick question, is the vanilla bean paste only available online or do any chain US retailer carry them? I did a little research. You can buy it on amazon.com and it’s not as expensive as I was thinking. I’ve never seen it in stores. I also found that 1 Tbsp. Vanilla Bean Paste = 1 Vanilla Bean or 1 Tbsp. of extract. I completely agree about reading the book cover to cover. I loved Joy’s stories before each recipe. The snickerdoodles look great! It’s very cool that you got an advance copy of Joy’s cookbook. I am really looking forward to getting my hands on a copy! These cookies are perfection! nothing worse than having 2 batches of cookies lying around the kitchen (snicker, snicker). 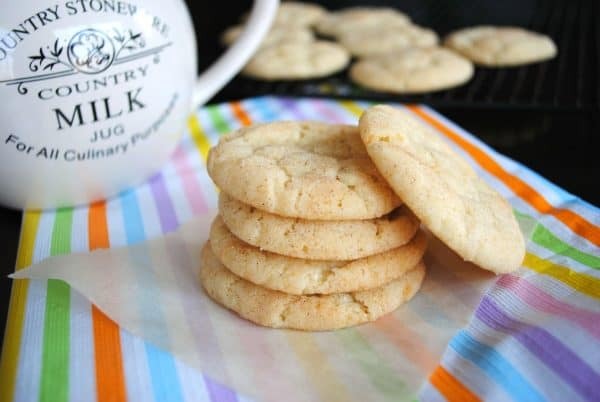 i have these on my list to make….i remember loving snickerdoodles as a kid and can’t wait to bring back that taste memory. it has been fun cooking with you this past month! These look amazing! I can’t wait to make them! Great review and great cookie, yum! Like you I read this book cover to cover and love it as well. Great review. Those snickerdoodles look so wonderful. It was nice baking along with you in the cook-off! I made these and they were fantastic! Thanks for sharing! I made another batch right away and froze it for later! I shared your post on my blog: https://iamproductivelyprocrastinating.wordpress.com/2015/11/20/adventures-in-procrasti-baking-the-cookie-edition/ Cheers!